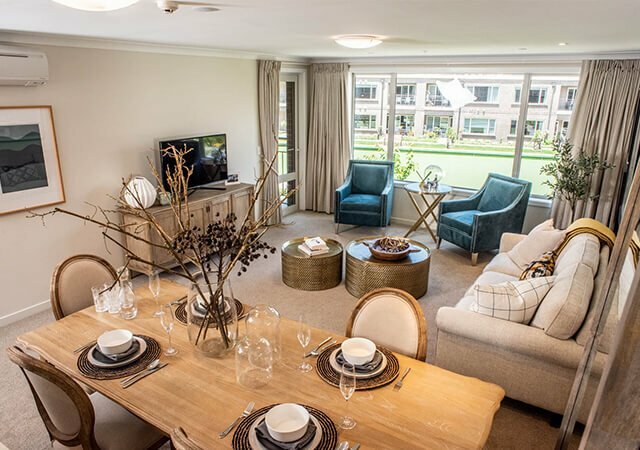 The first resident of Ryman’s Murray Halberg village is settling into his brand-new apartment after moving in from just a few metres away. Bob has lived next door on Tropicana Drive, which leads up to the village site, for 50 years, meaning the move was also a new record for the moving company. “The guy said it was the shortest distance he’s ever had to move someone,” laughed Bob, who for the last year has been watching the progress of his new apartment being built from the comfort of his back yard. 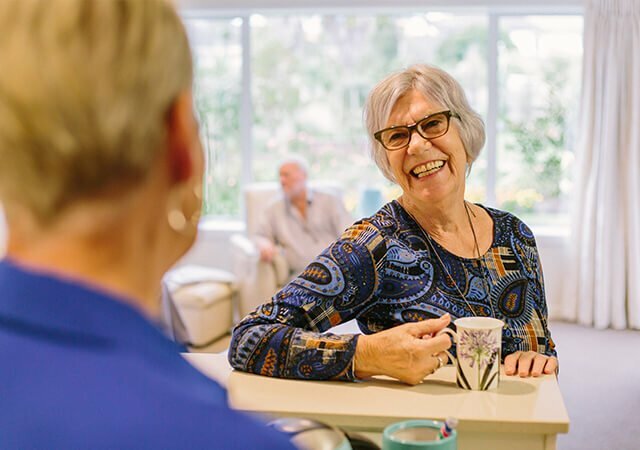 “I could see where my apartment was going to be, and I realised I would be able to see the house from the far end of the balcony of the apartment,” said Bob. Not only that, he will have a clear view of the rest of the complex while it gets built since his living room looks out onto the heart of the village. His verdict? “Good! Yes, it’s lovely. 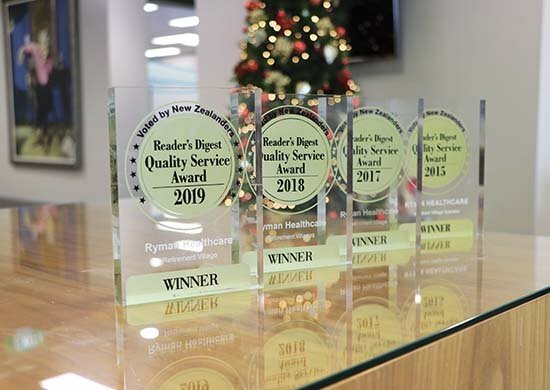 “It’s been a bit of a worry up until now getting everything sorted but the girls have been excellent,” he said, referring to his three daughters Denise, Joanne and Fiona. Both the views and the apartment prompted wows from the daughters who were there on the day to help their dad move in. Bob and his late wife Val bought their section on Tropicana Drive for £2,000 from Bill who was also the former owner of the village site. Bill went on to develop the whole of the street as part of the Parade of Homes, which were unveiled by the then finance minister Rob Muldoon in 1968. 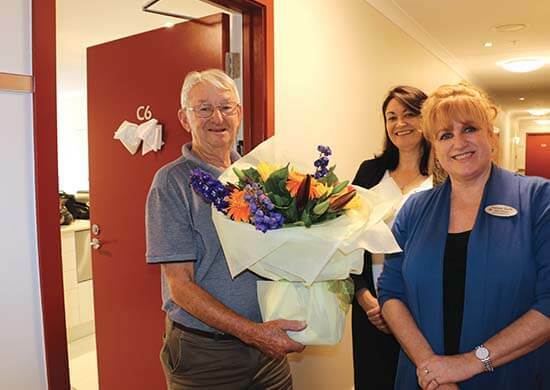 As part of his welcome into his new home Bob was presented with a beautiful bouquet of flowers by sales advisors Frances Quirk and Michelle Garland, plus a lunch platter to tide the family over during the big move. There were Ryman staff on hand to shift his furniture up from the basement and brief him on how everything works. "It’s good for all of us to know he’s safe and secure and he won’t have to deal with things as they start to break down in the house"
Sales Advisors Frances Quirk and Michelle Garland welcome Bob to his new home.